If you’ve never taken the time to visit Batu Bolong you should, even if you’re not about to buy a gorgeous villa or set up your boutique surf shack coffee shop and make a million dollars before Wednesday. It’s easy to get to, even though the wrong time of day is likely to introduce you to the Balinese version of a Mexican stand-off played with cars and trucks and too-large-for-the-road-buses but despite that it’s well worth the trip. 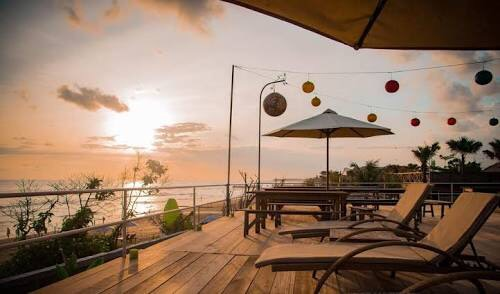 They describe themselves as a beachfront beer garden but what they really are is a pet friendly surfer bar and restaurant in a great location with ocean views of Batu Bolong’s famous breaks and fantastic sunsets. It’s a great venue for live bands, guest DJ’s and events and is super popular, like really super popular, especially after sunset. This isn’t a restaurant filled with up-tight diners and linen tablecloths, it isn’t a cocktail lounge crammed with power suits and fancy dresses and it isn’t a coffee shop for old men reading Sunday papers and shooting espressos. It’s a destination, a hang-out, dawn heart-starter, a post-surf fuel stop and a late-night meet-up. 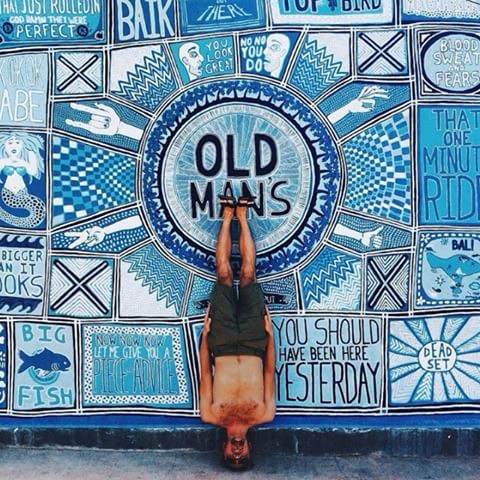 Already an iconic landmark in Canggu. This Bondi-beach inspired cafe has quickly become a very popular local landmark, serving health conscious breakfasts and lunch as well as great smoothies, juices and home-roasted coffee. They don’t have a website but they’re active on Instagram @cratecafe. One of the oldest and most respected boutique hotels in Bali, with a penchant for fine Indonesian art and cultural antiquities. It’s located right on the beach at Batu Bolong, making it a great spot for sunsets, weddings and events. Tugu has a great Spa and offers some great dining options; Ji at Balesutra 1706 serving Japanese; Ji Terrace By The Sea serving Indonesian and Asian inspired cuisine; and Wantilan Agung for the romantic foodies out there. Yes, there is actually a lawn. And yes, it’s on Batu Bolong beach! 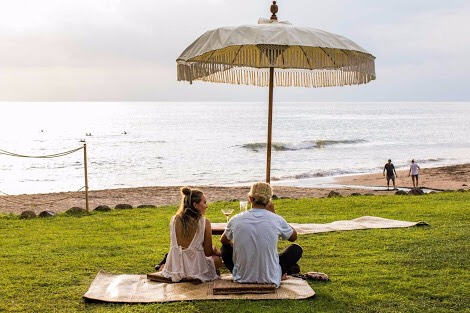 This is a fantastic spot for lunch, sunset cocktails and dinner combining the chill-factor beach clubs in Bali are famous for with delicious casual fine dining. While not exactly on Jalan Batu Bolong,(it’s on neighboring Jalan Batu Mejan) this Tahitian inspired restaurant is certainly worth including here as it’s such a great alternative to most everything else available. Great if you’re a fan of fish, especially raw fish, meat woks and very naughty cocktails. Definitely worth the visit. What’s so special about Batu Bolong?